When Rachel and Kirsty arrive at Rainspell Island for a holiday, they have no idea that a magical adventure awaits! But when they meet Ruby the Red Fairy, she tells them a terrible secret: the seven Rainbow Fairies have been banished from Fairyland by wicked Jack Frost. If they don’t return soon, Fairyland is doomed to be colourless and grey. 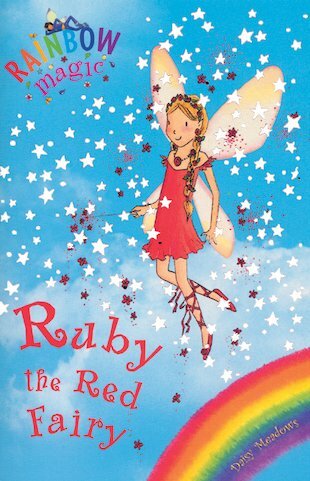 Can the girls help Ruby and her friends to bring back the colour to Fairyland…? This book is completely amazing. Two friends meet on a boat and start to have fairy adventures. I think that this book is really good but some of the other fairy books are better.